We deal with an array of residential and commercial planning and construction projects – minor projects such as house extensions or other projects that have multifaceted development and a complex plan. We like to listen to our clients and take action giving them 100% attention at all times in order to deliver a customer focused service. KPCL staff makes every effort to satisfy our clients with their excellence of work, receptiveness, and authentic concern for their achievement. We are dedicated to our clients’ project accomplishment right from the initiation through to the project completion stage. If you wish to have work completed that does not fall under permitted development you probably would require a Planning Application. Without getting permission from Local Authority, you might not be able to build your desired proposal; unless you are applying within your permitted development rights which in that case you can start your building once a building notice & your building control drawings have been submitted to your Local Authority. 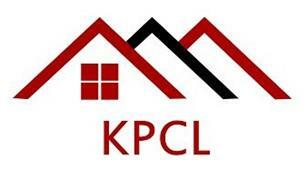 KPCL Architecture can provide full building regulations drawings and construction specification packages for projects small or large, from minor works such as house extensions and loft conversions, up to large scale new build developments and conversions. We keep up to date with amendments made to the building regulations to make sure that your project runs as smoothly as possible. Building regulations set the construction standard. After you have the permission to accomplish your dream but you need help making it a reality. KPCL can help with this. With a team of specialised interior designers we can help you put all those great ideas in your head onto a plan and produce some designs for you. We can also provide with 3D renders as well as 2D. To produce architectural or interior render it requires a lot of creativity and time to complete one walk through animation.